Heavy duty truck, heavy construction and agricultural equipment maintenance garages. 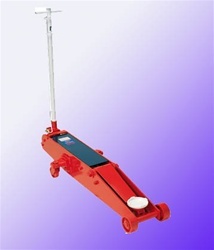 Push button operated air/hydraulic bottle jack . Chromed ram and dust seals prevent hydraulic contamination. Safety by-pass and overload systems protect hydraulic block. 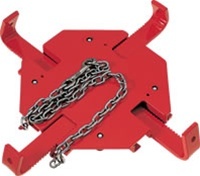 Includes the FASTJACK® feature which raises the jack's lifting saddle to the load with one pump of the "T" handle. Locking release lever secures handle in the vertical, 45 degree or horizontal position to lower the load on all models. 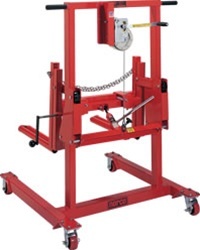 Capacity – 10 Ton @120 PSI, Lifting Height – 27.25", Length – 68.5", Handle Length – 46.75". 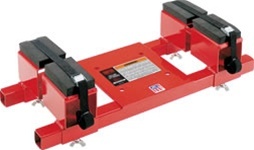 Be the first to review “NORCO 71100A 10 TON CAPACITY AIR/HYDRAULIC FLOOR JACK” Click here to cancel reply.